Catherine Fortun started college on one path and finished on a very different one, learning a lot about herself along the way. Read on to find out how this animal science major — and recipient of the Carolina Feed Industry Association scholarship — made the most of her CALS experience and landed a great job after graduation. Why did you choose to major in animal science at CALS? Ever since I was young, I have always loved animals so I knew I wanted to work with them in some way when I grew up. In high school I started working at a local animal hospital, and that was where I decided that I wanted to become a veterinarian. So when it came time to apply to colleges, I knew that NC State was the place for me since it has one of the best animal science programs and top veterinary colleges in the nation. How did your career goals change while you were a CALS student? In my junior year, I came to the conclusion that vet school would not be the best fit for me, so I started researching other jobs I could get with an animal science degree. I worked with CALS Career Services, and they exposed me to the wide variety of jobs that animal science graduates can obtain. I came to the conclusion that I would succeed in sales because I enjoyed working with people. You really can do whatever you want with an animal science degree because it is so diverse and you learn skills that are applicable in so many other areas of life. How did you end up at Lenovo? A question that I frequently get is, “Wait, you are working at a technology company but majored in animal science?” Although it seems like these two are not related at all, the skills that I learned during my time in CALS directly translate to what I do at Lenovo. I am a part of the Lenovo Accelerated Sales Rotation (LASR) Program designed specifically for recent college graduates. I am an account executive in charge of managing relationships with commercial customers. 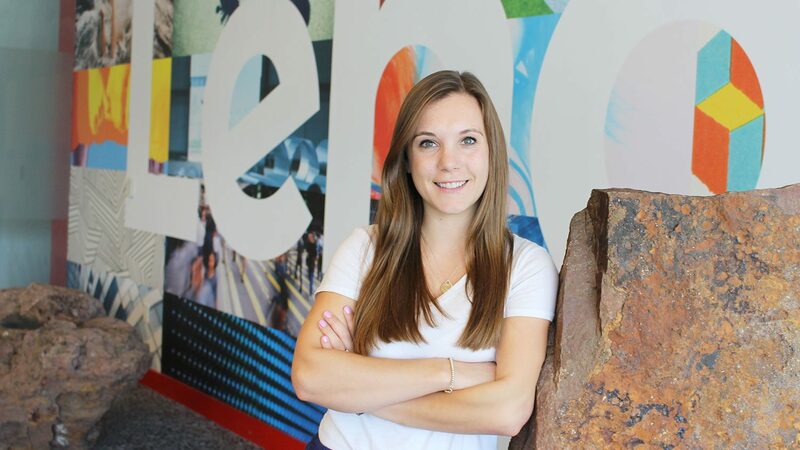 Although working for Lenovo is not working with animals – something that I ultimately would like to do – I am learning so much about managing businesses and what it takes to work in sales, I know that I will be able to transfer all the skills that I am learning here to future positions. What was your CALS experience like? It is true what everyone says, college really is one of the best times of your life! I truly enjoyed my four years at NC State, especially being part of the CALS Ambassadors program for three years. I was able to make great friends, work closely with faculty and staff and talk with prospective students about why CALS is the best school around. I feel as though I was able to be part of something bigger than myself as a CALS Ambassador and really help to make a difference for many prospective students. How did that experience help prepare you for your career? Being a CALS Ambassador equipped me with many skills to be prepared for life outside of college. Through the program, I learned what it means to be a leader, how to work on a team, and how to give speeches and presentations. I use all of these skills on a daily basis, and I am so thankful that the CALS Ambassador Program helped me branch out and learn so many essential life skills. 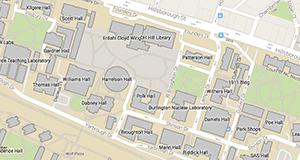 What would you like CALS students — especially the new ones — to know? My relationship with the college is not something that only existed while I was a student. I could go back at any time and feel like nothing has changed. CALS is special because it feels more like a family than anything else. Everyone in the college truly cares about each student and wants to see them succeed.